The true life account of the a little known aspect of Grimsby history. The Workhouse Fisher Lads are an integral part of the history of Grimsby and other Humber ports. Orphans and foundlings had the chance to escape the miseries of the workhouse by going to sea as apprentices on board the fishing boats. This is their story. The earliest known Fisher Lad went to sea in the early 19th century and the system continued up to the First World War. For more than a century young boys - some only 8 years old - went to sea in the traditional sailing boats that braved the North Sea to bring back the fish that kept Grimsby prosperous. It was a brutal life. 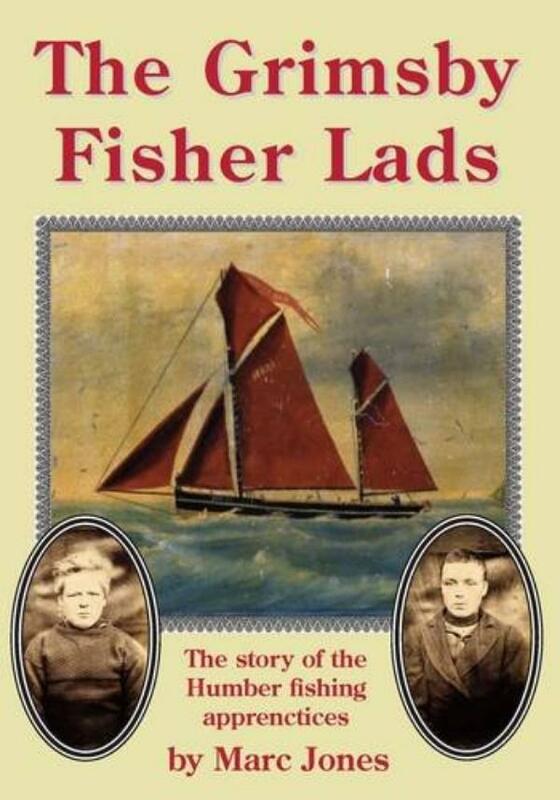 In this book, Grimsby-born Marc Jones traces the harsh life of the Fisher Lads at sea and on shore. He details individual stories of some oustanding lads who found fortune, disaster, happiness, tragedy and even murder as they worked the boats to escape the Workhouse. Marc Jones was born in Grimsby and has lived in Lincolnshire all his life. He lives locally with his wife and daughter and is very active in the local community. He is a school governor, active fundraiser for local causes and a county councillor as well as standing for the Great Grimsby seat in the 2015 General Election. Marc says “outsiders can have an unjustly negative view of Grimsby. We need those in positions of influence within the town to have and portray a much more positive view of Grimsby. It has got some cracking potential and its main asset remains the people who live here. They deserve support, investment and new ideas instead of just more of the same. This book shows the hard-working history of Grimsby people and their willingness to overcome whatever nature or the EU has thrown at them. This centuries old town can and will have many more exciting stories to tell about the lives of those who live, love and work here. The next chapters need to be tales of success, innovation, transformation and prosperity. I truly believe this can be the case if we all pull together to make Great Grimsby a town that respects and remembers its past but works for a better future.